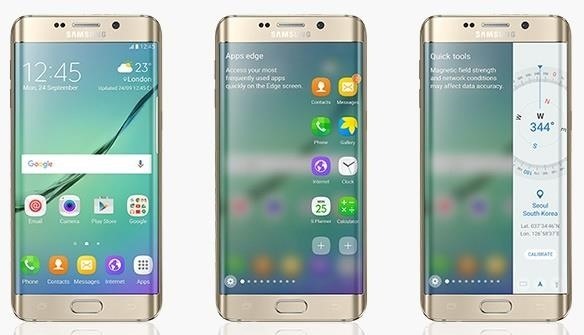 Samsung is rolling out the Android 6.0 Marshmallow update for Galaxy S6 and S6 edge today, February 15th, and with it come some good improvements to how S6 edge users can utilize the handset's curved screen. 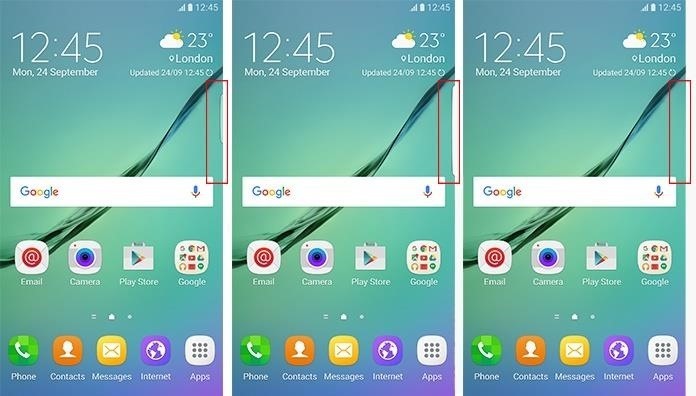 Here's how the Galaxy S6 edge display will look with Marshmallow. 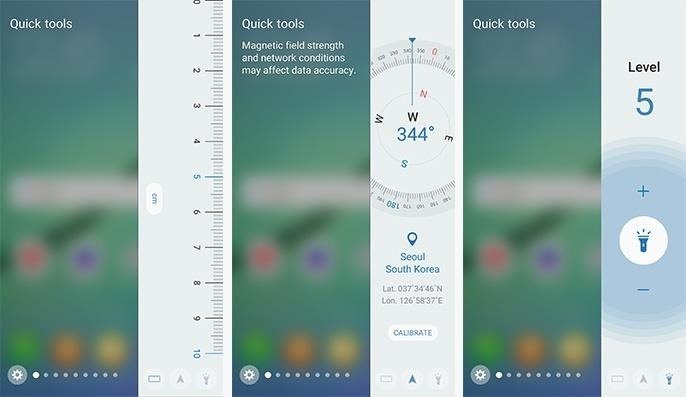 The update will more than double the width of the dual Edge screen to 550 pixels, from 260 pixels, which not only enhances previous features—like People edge and Apps edge—but adds new ones like "Task edge" and "Quick tools" so that you can do even more with your phone. 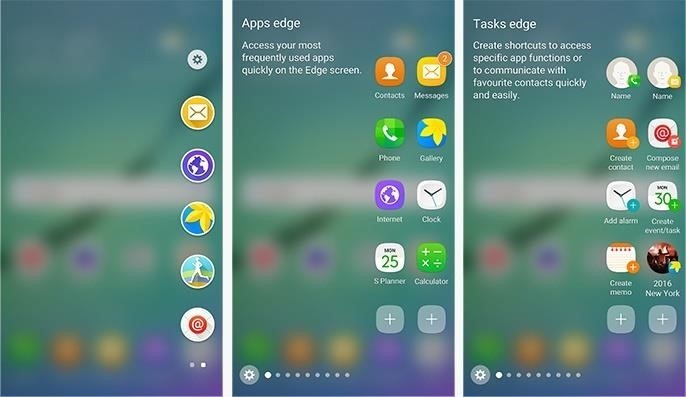 Task edge fits the bill as both an update and a new feature, as the updated Apps edge is integrated into Tasks. Rather than having a panel for just apps, Tasks lets you leave shortcuts to features within apps to help you get there quicker. For instance, now you can add a shortcut to the "Create an Event" feature in S Planner so that you can bypass the rigmarole of opening the app and clicking on "Create an Event." You can use the extra time you saved to play LEGOs (Yay). Tasks edge (right) takes Apps edge (center) to the next level. Quick tools puts a couple handy features at your disposal. Right off the bat you'll get quick access to the compass, flashlight, and ruler. Quick tools includes, from left to right, a ruler, a compass, and a flashlight. 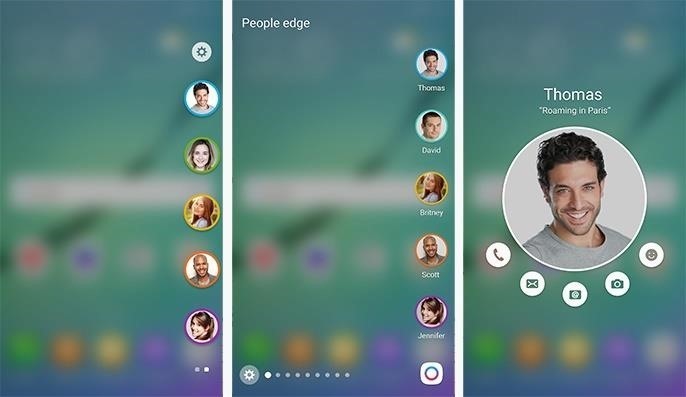 Samsung released the software development kit (SDK) for the edge screen, so it'll only be a matter of time before third-party developers come up with other helpful tools and apps for the Marshmallow update. The Marshmallow update also comes with Yahoo! Finance, Yahoo! News, and Yahoo! Sports as part of the package. Look here to find out how to ditch the apps if you're not interested in them. The increased size of the edge screen allows for a small, but helpful improvement to People edge. You'll now get to the see the names of your contact underneath each image, and the update also added a settings button on the panel for easier customization. The new People edge (center, right), has a few improvements over the existing version (left). The Apps edge also benefits from the bigger size, allowing you to put twice as many shortcuts on the panel. You now get 10 slots, and can even put folders there instead of single apps. So you could theoretically put all of your apps on the Apps edge, but that probably defeats the purpose. But hey, do whatever feels right. You'll also now be able to adjust the size, placement, and transparency of the edge Handle so that it won't get it in your way and accidentally open while you do other things. You'll be able to adjust the handle in the Settings menu. The edge Handle settings allow you to change the size, location, and transparency of the tab. These features will all likely make it into the upcoming Galaxy S7 and S7 edge, and now, thanks to Evan Blass (@evleaks), we've got a look at the three colors Samsung will be offering, at least for the S7 edge. So it looks like you'll get to choose between silver, black, and gold versions of the S7 edge, and probably the regular S7, too. What do you think about the Marshmallow updates? 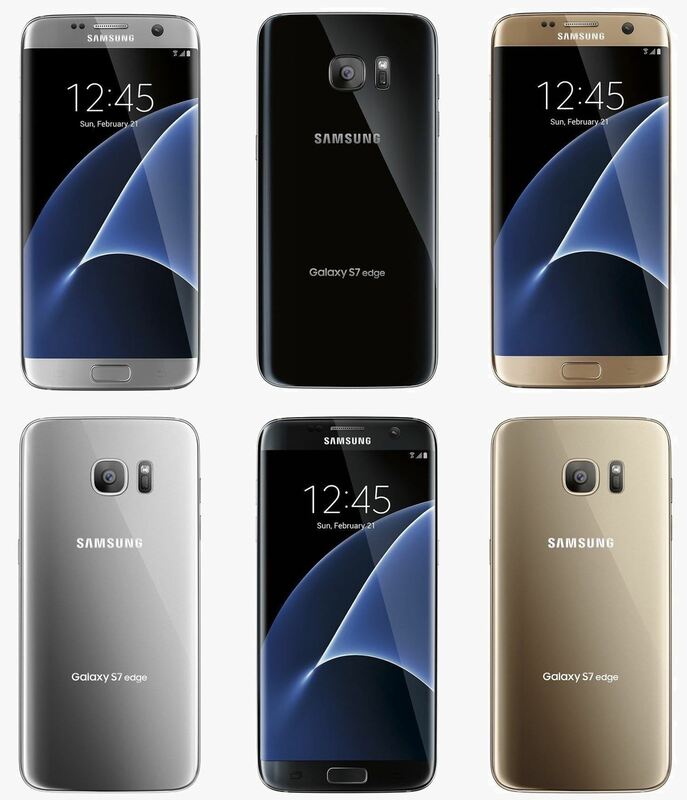 Do you think the S7s look shiny and purdy? Let us know in the comments.